Senator Nick Xenophon is a leading political voice on gambling and bookmakers in Australia. You told us the important issues for you, and at the top of that list is bookmaker restrictions. The responses regarding your betting turnover and bookmaker restrictions were very interesting. In 2015 former New South Wales Premier Barry O’Farrell was charged with leading a review into illegal offshore wagering. The resulting report was delivered in April 2016, and included a number of recommendations designed to curb Australians from betting with offshore bookmakers. (As an aside, it was shortly after this that O’Farrell was appointed CEO of Racing Australia). Whilst bookmaker restrictions are a common topic of discussion in punting circles, it’s rare that any actual data is gathered from punters regarding the issue. Hence we believe these survey results would be of interest to the government, given their agreement to further explore the issue. So in late March we took the relevant results and wrote a letter to Alan Tudge, the Federal Minister for Human Services. Minister Tudge is in charge of the Government’s response to O’Farrell Review of Illegal Offshore Wagering, which recommended the government further explore the issue of bookmakers restricting bets. Unfortunately, we did not receive any acknowledgment or response from Minister Tudge. 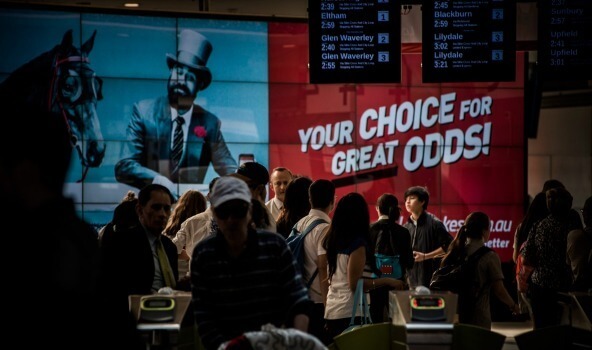 South Australian Senator Nick Xenophon is very vocal on the topic of gambling, playing a leading role in recent pushes to reign in the wave of bookmaker advertising that has appeared in Australia in recent years. As part of our efforts to further shine light on the issue of bookmaker restrictions, we’ve this time written to Senator Xenophon. Read our letter to Senator Xenophon here.